To borrow from Clive James, who himself was harnessing the celebrated Hollywood-ism of William Goldman, "at the start of the season, nobody knows anything". Granted, even with pre-season testing's myriad mysteries - and even then that no one will have stood still between the end of testing and this first gathering - teams love to create the impression that they know what's going on. That they have incredibly accurate models and intelligence to channel pre-season into a competitive order. And from the various analyses that spring up as well as the more general mood music, the rest of us get a broad sense of it too before it's all done in anger. Testing just passed suggested no grand 2009-style reshuffle, but did offer many points of intrigue. Not least around Mercedes and whether it remains on its perch. It reportedly has decided to bring its upgraded engine to the Melbourne, but there are also murmurs of reliability worries (and of perhaps not running the unit on full chat). But its worries are more broad - and likely explain why Merc is minded to roll the dice. While it still is the favourite to prevail it doesn't seem nearly as stick-on as it has been for most of the last three seasons. And not least because of the sport's grand perennial Ferrari. Plenty of sober paddock figures believe, based on testing, the Scuderia is ahead of everyone including the Merc; hardly the outcome many anticipated prior to testing given the sheer flux at Maranello. Merc and Red Bull say apparently off the record the Italian team might even be holding back so far. Ferrari has surprised us before. But it has done so for good and for ill - indeed we need only rewind to this time last year to find a recent example of it not living up to lofty pre-season expectations. And what of Red Bull? 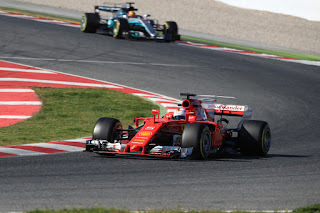 The new regs were from long out supposed to suit it but the take-out from testing is that it's not quite yet with Merc or Ferrari, and it's something the team isn't concealing. 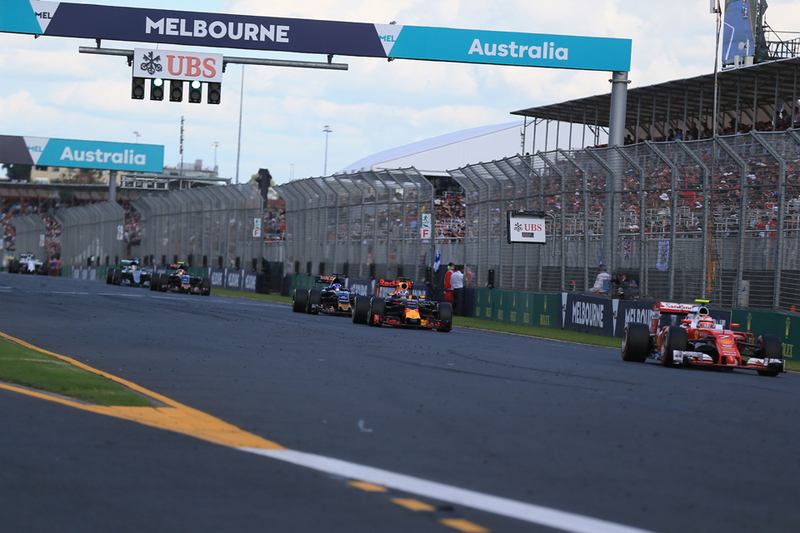 "We won't be going there with the idea we can go for pole," Max Verstappen admitted of the Melbourne weekend. "At the moment, I think both Ferrari and Mercedes will be in front of us." But the Milton Keynes squad - and in particular its ability to turn matters around - is never to be under-estimated. The new formula brings with it too wider questions about how things will go. Will the cars be five seconds or so a lap quicker as advertised and as testing suggested? And will this extra pace, also as advertised and as testing suggested, be able to be maintained for longer by the drivers thanks to more durable tyres? And will the spectacle for the paying public indeed be more intense as testing suggested also? Jonathan Noble for one predicted that the cars will be mighty through Melbourne's fast turn 11/12 chicane. And what of the consequences for the racing? Plenty worry that a flipside of the extra downforce in the revised regs will be that overtaking will be harder, as well as that the tougher Pirellis may result in 'Bridgestone-style' one-stop strategies (and fare of the metronomic variety). But this Sunday may not be our best guide, as the Albert Park circuit is one of the harder to pass on at the best of times. We can add in the more general peculiarities of the Albert Park track: a temporary circuit, low on grip, narrow and bumpy. Its layout also is a little irregular, being made up mainly of short-ish straights, as well as braking and acceleration zones in and out of chicane-like complexes. Finding a suitably nimble set-up can be hard, especially this early in a car's life. Walls are close to welcome those who get it wrong, incidents usually are frequent, as are safety car appearances. To add to the uncertainty, some rain is forecast for this weekend - currently most likely for qualifying. Reliability also is likely to be at its weakest in the early part of the season, and the round one result sometimes goes a long way to deciding all-important constructors' placings for the entire season for teams towards the back. Many of those said teams will have circled this race as their big opportunity to score. 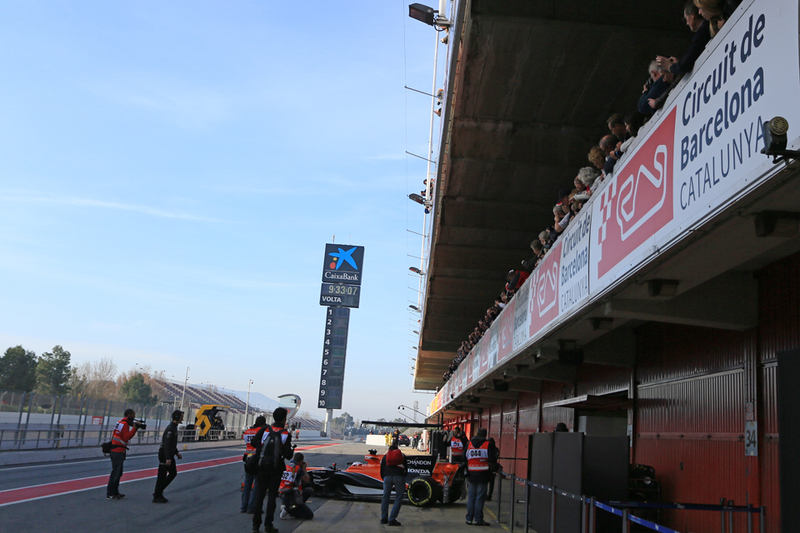 Reliability looked generally good in winter testing, but the higher ambient temperature and other associated challenges of a race weekend proper can uncover problems not previously encountered. The Albert Park circuit's peculiarities also provide a get-out though - those who disappoint will hope that the more standard challenges ahead will provide their salvation. So with this and much else besides what happens this weekend will not be the end of matters, more to borrow from Winston Churchill it will be the end of the beginning. But a closer-to-home motorsport phrase is apposite too. When the flag drops, the b******t stops. F1 sessions aren't started by flags anymore, but the fundamental holds firm. Never more so than at the first race gathering of the season. And rarely more so than this time.